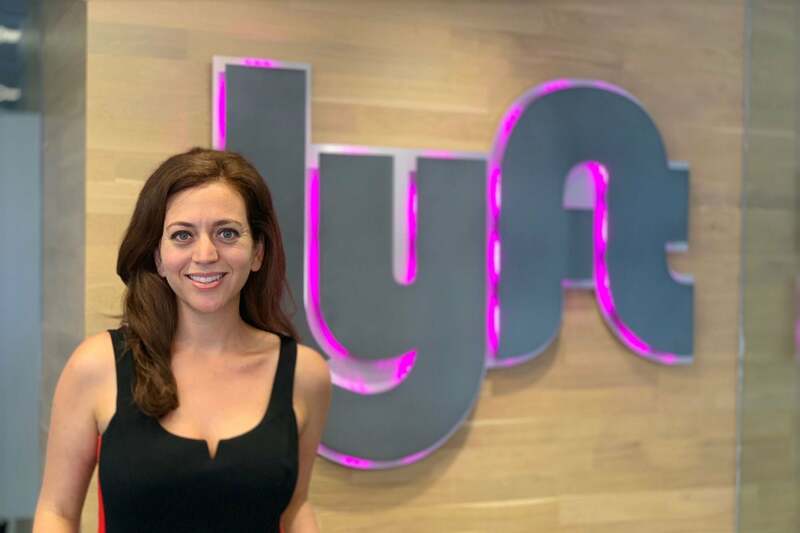 During an interview for a job at Lyft last summer, Kate Glantz proposed the idea of a pitch competition for Lyft drivers with entrepreneurial aspirations. Fast-forward more than a year, and her vision is a reality: She landed the job, and the ride-hailing company is now accepting applications from its drivers for its new regional Lyft Pitch program. From Sept. 26 through Oct. 21, existing Lyft drivers in Maryland, Virginia and Washington, D.C., can submit applications and elevator pitch-style videos for consideration in the Lyft Pitch competition. Those who aren’t yet working for the platform can also apply to become a driver and enter the running for the competition if they’re approved by the pitch submission deadline. Lyft on Nov. 1 will announce eight finalists, who will present their business plans in front of a panel of judges and a live audience in D.C. There will be a total of $ 30,000 in prizes. For Glantz, who joined Lyft as marketing manager for the mid-Atlantic region in July 2017, entrepreneurship is close to home. Previously, she ran her own charitable wedding registry startup, Heartful.ly. Her now defunct company allowed couples to register for service projects, rather than material possessions, from digging a well in India or building a classroom in Tanzania. Guests would donate funds, which Heartful.ly would allocate toward the associated supplies, such as bricks and cement. Catered toward “urban millennials who didn’t need pots and pans,” Glantz said her startup had trouble making money. In her Heartful.ly days, she participated in about a dozen pitch competitions, including as a judge. But when she read in Lyft’s 2017 Economic Impact Report that 18 percent of Lyft’s 1.5 million U.S. drivers are entrepreneurs, the lightbulb went off for her that she should spearhead an effort to create her own contest at the company. Glantz and fellow Lyft employees take Lyft rides often, but they don’t always tell those contractors behind the wheel that they work for Lyft. They do, however, strike up conversations, which sometimes yield “backseat, informal business pitches” from Lyft drivers. They also hear about their other endeavors, personal circumstances and savings goals. “When you’re in an office behind your laptop, it’s sometimes easy to feel removed from the core of the business and the people who are fueling it,” Glantz said. In the D.C. area, Lyft recently provided about 200 drivers with the materials to make placards, which hang over their headrests, that announce to passengers what they’re “driving toward.” A sign might say, “I’m driving toward saving up to take my granddaughter to Disney World,” or “I’m driving toward buying my pregnant wife a new car.” In a survey, the majority of drivers who made placards said they had more conversations with their passengers and received more tips after installing them. Presumably, some of those placards could read along the lines of, “I’m driving toward launching my business,” based on Lyft’s driver survey data. Overall, Lyft has made an effort to learn about the goals its drivers have to better serve them with programs such as Lyft Pitch. Pitch competitions may not be on the radar of many of these drivers, who run “low-tech or no-tech businesses,” Glantz said. Lyft is assembling a “venture committee,” a mix of entrepreneurs, investors and members of the local startup ecosystem who will rate the applications with a scorecard system. From there, they’ll select eight finalists. “We wanted to be very careful about not being biased as internal staff members,” Glantz said of Lyft’s reasoning for organizing the external committee. At the Nov. 14 pitch event, five yet-to-be identified judges will hear three-minute pitches, and a three-minute Q&A session with each entrepreneur driver will follow. So far, Lyft has recruited judges “at the VP level” from Lyft, the NFL Players Association (which has its own accelerator) and Intuit (which is a sponsor of Lyft Pitch). Lyft is waiting until the venture committee reviews the application to decide which companies or organizations the remaining two judges will come from, “to make sure we’re matching the right people with the industries that are common among our applicants,” Glanz said. Lyft is also working to highlight a diversity of applicants in terms of gender, race and age and form a panel that reflects their various perspectives and backgrounds. The judges will evaluate the finalists with a rubric that takes into account the entrepreneur’s traction to date, the impact that their business will have or is having on their community, the innovation of their product or service and the degree to which the company or product differentiates from the competition. First prize is $ 15,000, and the runner-up will receive $ 10,000. Intuit will grant the finalist voted “audience favorite” an Intuit Prosperity Award, plus $ 5,000 in cash. Co-sponsor General Assembly will provide every applicant with a $ 25 credit and each finalist a $ 100 credit to its classes and workshops. The winner will receive free access to a part-time class. Lyft, which has more than 20 offices across the country, is already envisioning scaling Lyft Pitch nationwide next year, with city-level competitions culminating in a national finals events.